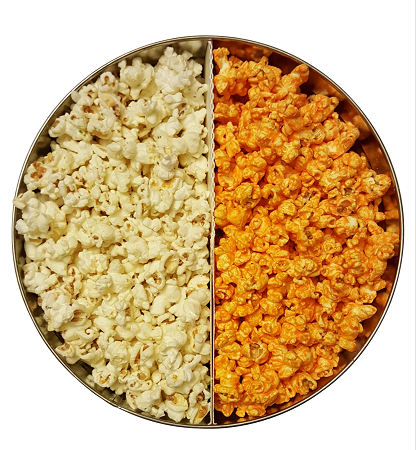 Home > Create a Tin > (Tin.5) Create a Tin with one half of tin (Pecan, Cashew or Almond Caramel Popcorn) and one half FROM OTHER FLAVORS LIST. Select 2 flavors. Caramel Coated Popcorn with nuts. Choose one.